Welcome to our blog. Flying Corgi Media is an Independent publishing and video producing company specializing in books and media that enhance communication between generations and bring families together. We’ve just published our first pair of Back-to-Back Books (a Flying Corgi imprimatur): books to share in pairs called La Comtesse and Thérèse’s Adventure. 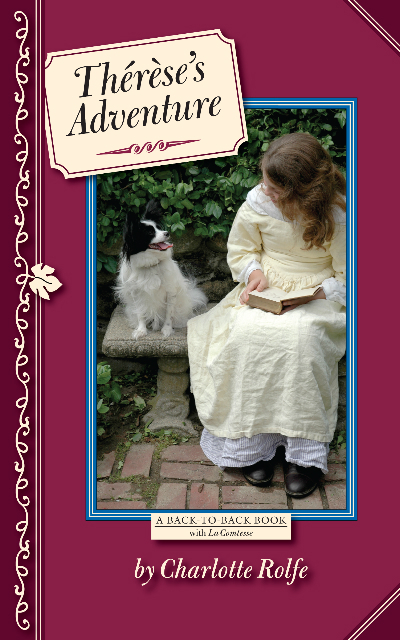 Thérèse’s Adventure targets young readers who are comfortable reading chapter books (ages 8-14). 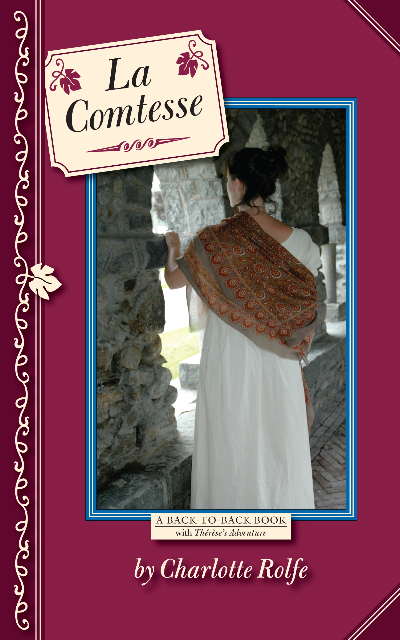 They can discuss this story with the adults readers of the romance-adventure La Comtesse, which continues to the story of Thérèse as a young woman. These books are available at your local independent bookstore and through Amazon.com and Barnes and Noble. There will be two new Back-to-Back Books to share in the spring of 2012! NEW! We’re also working on the publication of Audrey’s Garden, a novel for readers aged 8-12. The subject is bullying, and Audrey’s Garden will encourage kids and adults to talk in healthy ways about this topic. AND, in the works is a series for young children (pre-readers and young readers) called Russell’s Muscles, aimed at getting kids to have fun exercising and eating healthy foods. There’s plenty of work for us to do! Who are we and what’s our story? In early 2011, I got a call from my old friend, Susan Gates, asking me if I would read a pair of books by Charlotte Rolfe (Thérèse’s Adventures and La Comtesse) to see if they could be edited and brought to publication. She and Madeleine Needles were thinking of forming a company to publish these and other books and produce videos. Both Susan and Madeleine had grown sons with whom I had worked in high school theater back when they were students and I was directing, so I had known both women for about 20 years. I met Susan and Madeleine in a local coffee shop and told them I didn’t want to be just their editor, I wanted to be a partner! I thought the idea of publishing literature and video materials to encourage communication between generations was fabulous! And so, Flying Corgi Media was born. We still meet in that local coffee shop, the Java Room (fabulous scones, coffees, teas, and sandwiches), for a lot of our business. And we’re really excited about bringing our concept and our books to you. Watch this blog for posts, interviews, and thoughts. Speaking of thoughts, do you have a parent-child book group in your area, perhaps at your local library? Tell us about it!